Will Expanding Citi Bike Require Taxpayer Funding? 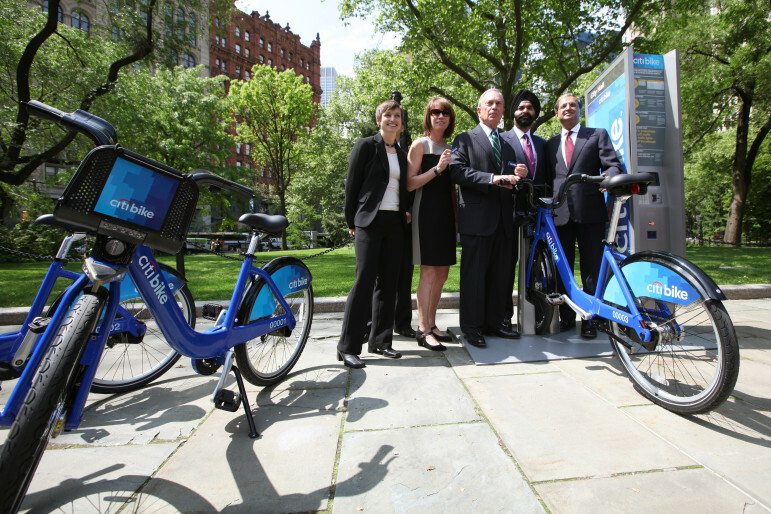 Mayor Bloomberg at an early Citi Bike promotional event. The question facing policymakers is whether investing in Citi Bike would have costs and benefits that make it favorable to pumping more money into existing transit offerings. At the end of its second season, Citi Bike is at a crossroads. Although New York City’s public bike share has been able to financially sustain itself, it’s concentrated primarily in wealthier neighborhoods, and there’s pressure to do more. New legislation suggests that there are serious concerns about Citi Bike’s profitability as it continues to expand. This November, Mayor Bill de Blasio signed into law a bill that will require Citi Bike to open its books to the public starting in January. Whatever the numbers reveal, it could foment pressure to change the way Citi Bike is operated. The new law coincides with a push from lawmakers offering to partially subsidize Citi Bike with taxpayer money, which is currently funded solely by private funds like sponsorship and membership fees. Hughes argues that a larger Citi Bike network would actually decrease the tax burdens on other public transportation modes. And given Citi Bike’s limited negative externalities—as far as upkeep and infrastructural impact—Citi Bike would be comparatively inexpensive. “The real product, whether it’s a bus or a bike, is the mobility itself. The question is how to provide mobility cheaply, and bike share has proven to be the cheapest option to provide mobility,” Hughes says. At the forefront of this push is Ydanis Rodriguez, chairman of the City Council’s transportation committee, who cosponsored the bill requiring transparency from Citi Bike. Rodriguez has suggested the use of public funds to expedite expansion of Citi Bike’s existing network. Rodriguez represents the northern portion of Manhattan, where Citi Bike has yet to move past 86th Street. Rodriguez won’t indicate exactly how much he’s willing to spend on Citi Bike—which is also still mute on how much it costs to actually operate—and says it’s still just an idea. 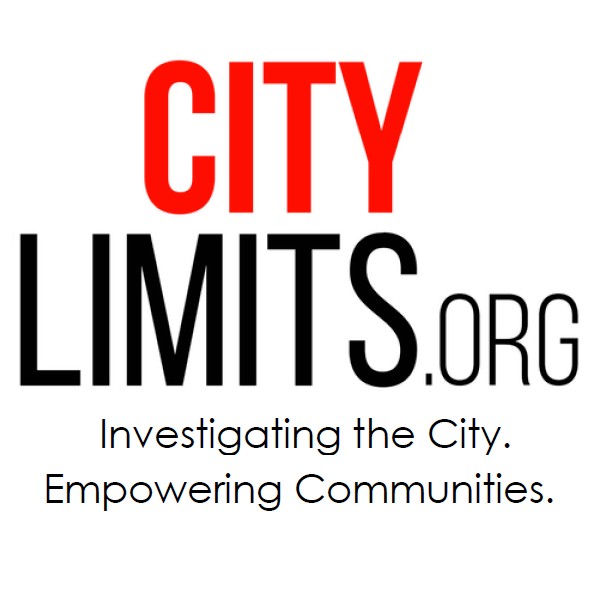 “It was proposed and passed to ensure that if the program were unable to continue, the city had enough forewarning to step in if necessary,” says the councilmember. Citi Bike currently releases monthly performance reports, in which its revenues are listed. Operating costs and where that revenue is allocated are not. To give some perspective, Citi Bike cost $50 million to initially launch. It’s original network is on pace to double by 2017, with a continued eye towards expansion. Motivate, the company that operates Citi Bike, is also the parent company of public bike shares in Washington, Boston, Chicago, Toronto, San Francisco, Columbus, Chattanooga, and Melbourne, Australia. Citi Bike is unique because it is the only such program in the country that is entirely funded privately. Because of this, Citi Bike isn’t tied to the equity needs of the city, but rather its own need to make a profit. If Citi Bike were to receive taxpayer money, it would fall under the same scrutiny as the city’s existing subsidized public transportation modalities; it would transform from a recreational utility to a public good. Former Mayor Michael Bloomberg frequently touted Citi Bike’s zero cost, and current mayor Bill de Blasio has repeatedly rejected the idea of subsidization. Capital Bikeshare, Motivate’s program in Washington, has run entirely on public funds since its inception six years ago, and finds itself at a similar turning point with expansion. In October, the District Department of Transportation released a development plan exploring different possibilities for expansion. Though Capital Bikeshare, aims to make a profit, it’s always run at a deficit, and the system expects that trend to continue as the system grows. The more glaring difference between Capital Bikeshare and Citi Bike is that the former actually exists in low-income neighborhoods, most pointedly in Anacostia, and covers a greater area in relation to its city’s population. “It’s just not possible for a dispersed a bike share system to be self-supporting,” says Charles Komanoff, an economist and the former director of Transportation Alternatives, a transportation advocacy organization. Were it to expand, “Citi Bike has to be partially subsidized because the modes with which it’s competing are even more subsidized,” he says. The MTA recovers 73 percent of the cost of a single subway ride through fares, the remainder of which is covered by subsidies, according to the National Transit Database. It’s less than half that for buses. In comparison, Capital Bikeshare has a cost recovery rate of 79 percent. “If all modes were paid for at full cost, bicycling would be used much more, simply because the price of a bike ride would go up much less,” Komanoff says. He suggests that the city perform a cost benefit analysis on Citi Bike, and believes that its indirect benefits—access to transit, increased efficiency, decreased pollution—are a net positive for the city. Citi Bike is in the midst of a rapid expansion, with the promise of 700 stations and 12,000 bikes by 2017. It’s impossible to know precisely how this will affect Citi Bike’s operating costs, except to say that they’ll increase. In 2013, Citi Bike’s future was not as promising. The initial launch was hindered by a series of seemingly divine mishaps; first, the disorder of Hurricane Sandy, followed then by a particularly harsh and unaccommodating winter. Malfunctioning software at docking stations created additional complications. After a change in ownership, updated software and bicycles, and a newly unionized workforce, 2015 has been an incredibly successful year for Citi Bike. But expansion presents it’s own challenges, particularly with revenue. Although Citi Bike has moved deeper into Brooklyn, and has announced plans to venture into Harlem, usership in these areas is less dense, and the requirement of a credit card to use Citi Bike can be prohibitive to low-income New Yorkers, many of whom reside in the outer boroughs. “There are no plans in place to use city money to expand the bike-share network. However, if city money will help to ensure that this service is distributed equitably across the city, we are certainly open to this idea,” says Dani Simons, a spokesperson for Citi Bike. Citi Bike understands that moves like this aren’t profitable, which is why they’ve been reticent to announce any additional expansion plans. And public officials, like Rodriguez, understand this and are doing whatever it will take to get the bikes permanently in their neighborhood. “We continue to support New Yorkers from across the five boroughs choosing safer and more efficient means of traversing our great city and we hope Bike Share NYC will be a part of that vision for decades to come,” says Simons. Until then, the conflict between a desire for equity—to make transportation more accessible to all residents—and the necessity to be self-sustaining will only continue hinder Citi Bike’s growth. Come January, we’ll see how willing New Yorkers are to make this a truly citywide bike share program a reality—if they’ll foot the bill. I do not believe public subsidy is appropriate. Anyone can use the bus and the subway. That is not true of bicycles. I suggest Citi think again. How did you get “Citi” as the decision-maker from the article? Citi is simply a sponsor. Motivate is the private operator. City Council will decide on subsidy. Thanks very much for pointing that out. It might be helpful to you to think of the many people who CAN ride bikes, and think about how shifting a number of those people from car/subway/bus to bikes will free up the resource they were previously using. If biking is more cost-effective than the other modes (generally true), the result is a net public benefit, right? Cannot agree with your reasoning, Money spent on roads are justified public expenses. Even in areas where buses do not go, taxis, private cars, emergency vehicles, police vehicles etc. etc etc. do. Road safety is a legitimate concern to all Further, those people who can and choose to ride bikes: although they likely are freeing up seats on buses and subways, the cost benefit is negligible especially if bikes are used during rush hours.Those who ride their bikes for pleasure are making a choice between public and their private transport. Good for those who can tour the City on their Citi-branded bicycles: I respectfully decline to subsidize that choice. Actually, using bikes during rush hour is exactly the type of thing cities like to see, because it greatly expands limited transit capacity at the busiest times. When these “crush loads” are relieved, wait times for passengers are reduced and overall service improves. Compared to buying multiple million-dollar new transit vehicles, bike share is simply an easy choice for minuscule public investment. That would certainly be true IF there were sufficient bike traffic on even one particular line. Assume 150 max capacity per car .Assume 8 cars. How many bikes on 1 line will It take to relieve crush load? For how long? I simply do not see it. Well, I expect Council members will be asking these questions and hopefully receiving meaningful answers from transportation planners and engineers. I recommend http://www.citibikenyc.com/system-data/operating-reports, which shows for example 43K trips/day in September. But your point is difficult; how can we justify public investment via a stat like “sufficient bike traffic” when the investment hasn’t been made yet? Projections like that are made all of the time. And it is important to do that, because there are public funds. Right, although it seems like you’ve made up your mind regardless of what the projections turn out to be. I suppose I have, too – it seems quite obvious to me that the few million that might be spent on a significant public expansion pales in comparison to the hundreds of millions spent on other modes, which should show up in a cost-benefit analysis of either actual or projected use, without even considering the many positive externalities of cycling in general. Since the subway is already overcapacity during rush hour, a single bike rider is relieving capacity.. no need to worry about sufficient bike traffic. A large amount of bike rides are taken during rush hour, specifically for commuting. So you would not just be subsidizing “Those who ride their bikes for pleasure”. Irrespective of the purpose of the ride, as I noted above, there is insufficient bike usage to justify public subsidy. The over-capacity of subways is not meaningfully addressed by the use of Citi Bike. As long as we have to see the corporate john’s name attached to the share program, then not one penny of public money is to be spent or contributed to any part of the program. I will never sign up if I have to pay to advertise for bank. Now that the concept has proven itself well, I think taxpayer money is a very good idea. The membership rate seems much too low for the company to stay in the black, and it’s also pretty low considering the value we members get. I’d be happy to see the corporate logo go away. We could even change the name. What’s the difference between Citi brand subsidized bike network and the subsidized subway system which defrays costs selling advertising on the trains? Also, has anyone realized how dangerous and ill prepared the city of New York is to providing safe street biking infrastructure. You gotta be nuts to think biking in the city is safe. This isn’t Portland, Or. The majority of the city’s designated bike lanes are unprotected: basically nothing more than around thee-feet wide stretches of asphalt marked by strips of paint and an occasional bike lane symbol. That has to change. They don’t sit in traffic. They don’t depend solely on the MTA to get them to work or home. But the people who commute on two wheels have plenty of reason to back a policy of charging cars to use the streets that many drivers think they own.